In Week 4, the varsity boys lacrosse team returned from spring break and welcomed the Decatur Bulldogs to Riverview Sports Complex on March 13. The Knights then traveled to McIntosh High School on March 16 to face the Chiefs. Pace won both contests 7-6, which brought the Knights' record to 6-0. An 11-12 loss to Fellowship Christian on March 18 put the team at 6-1. Against Decatur, the Knights overcame unforced turnovers by managing the fourth-quarter clock to survive a strong comeback by the Bulldogs. Pace was heading into halftime with a 4-2 lead when sophomore Bennett Boushka slashed to the goal and scored with a lefty shot to make it 5-2 as the clock expired. The second half proved to be a defensive battle as senior close long pole defenders Sam Assaf and William Zook anchored the defense, and sophomore Tripp Trimble was exceptional in the clearing game, even throwing a behind-the-back pass to move the ball up the field. 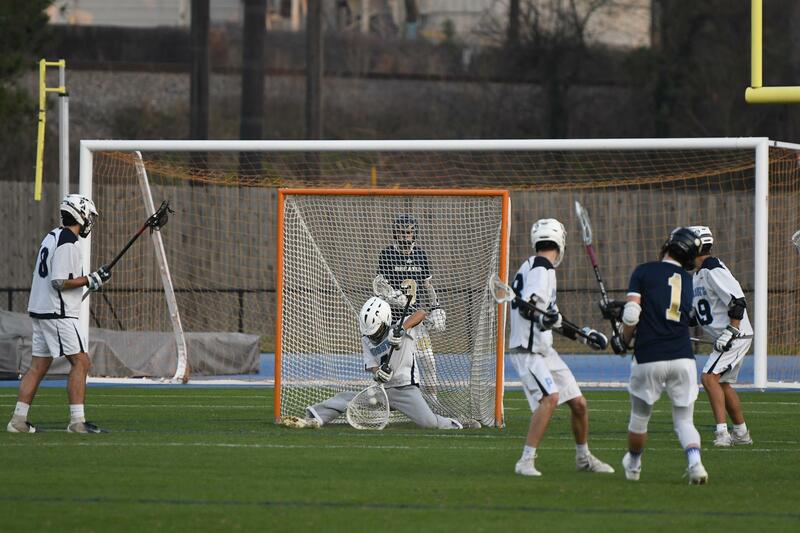 Senior goalie Kirk Spinelli came up big with key saves and clears to seal the game. The stellar goalie play carried over into the McIntosh game, where Spinelli saved shot after shot as Pace fans chanted his name in the stands. Offensively, senior Patrick Thurman and sophomore Evan Karetsos each put up a hat trick, with Thurman notching the winning goal late in the fourth quarter. Freshman Matthew Mathias contributed with assists to his fellow attackmen, and the offensive group played strong as a unit to mount the fourth-quarter comeback. The Knights were in a "make it-take it" position all afternoon thanks to the mastery at the faceoff X by senior Charlie Warren. 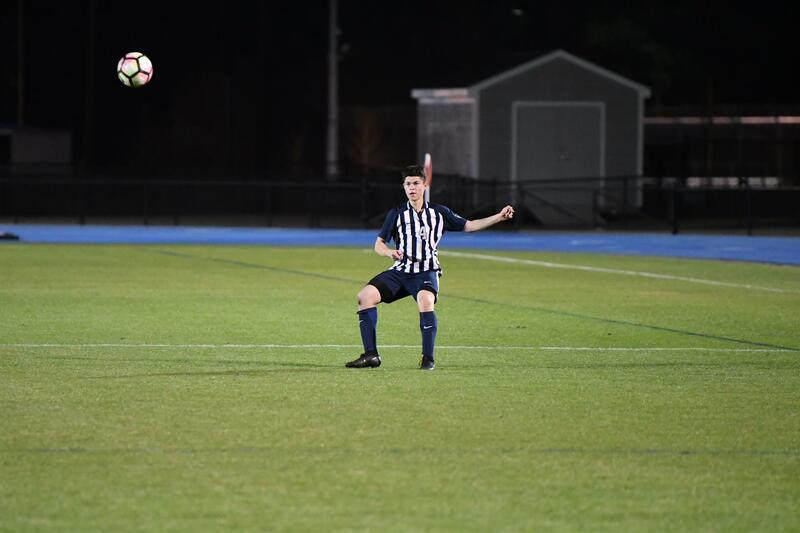 Warren also added a goal to serve as a catalyst when he won a faceoff and immediately streaked down the field to put the ball in the back of the net. Short-stick defensive middies, led by juniors Jeremy Leven and Mbiti Williams, were stingy all game and motivated the team with their intensity. The long pole defenders—Assaf, Zook, juniors Ben Ginsberg and Aidan Gannon, and sophomore Tripp Trimble—applied ample pressure and set the tone for the Knights the entire game. It has been a frustrating start to the season for the varsity girls golf team. The Knights have been rained out on nine of their 20 scheduled activities. In the first match of the year on Feb. 26, the team faced Westminster and lost by one stroke on the final hole. Senior Aleks Golde was the low medalist, shooting a 39 for nine holes. The girls bounced back strong against Riverwood High School, winning by 36 strokes. On March 12, Golde was the low medalist again; she shot a 28 on the 2,000+ yard Steel Canyon golf course. Senior Sophie Beck shot a 39; junior Lauren O'Sullivan shot a 50; and senior Leah Jones followed with a 57. 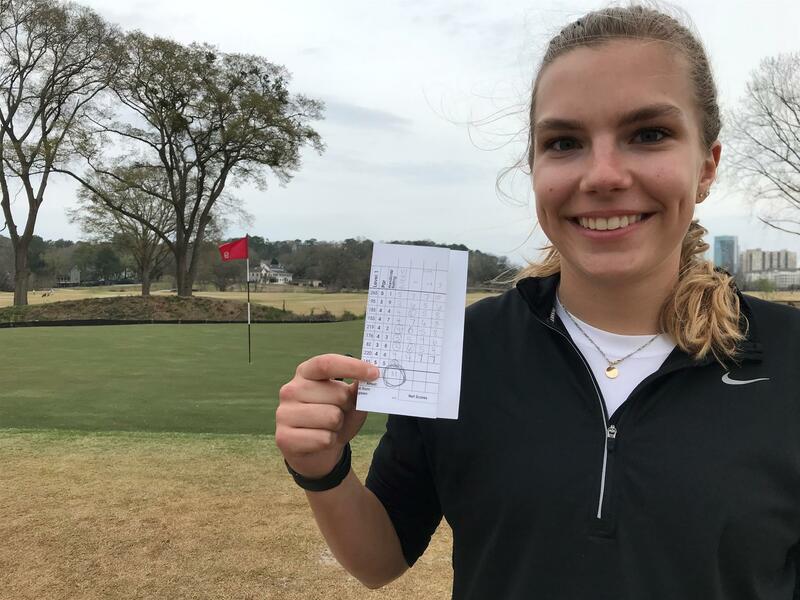 On March 14, the Knights played Lovett at the newly renovated Bobby Jones Golf Course, where the top two scores determined the outcome. Golde shot a 31 (5 under par), and O'Sullivan shot a 51, which was enough to beat the Lions. 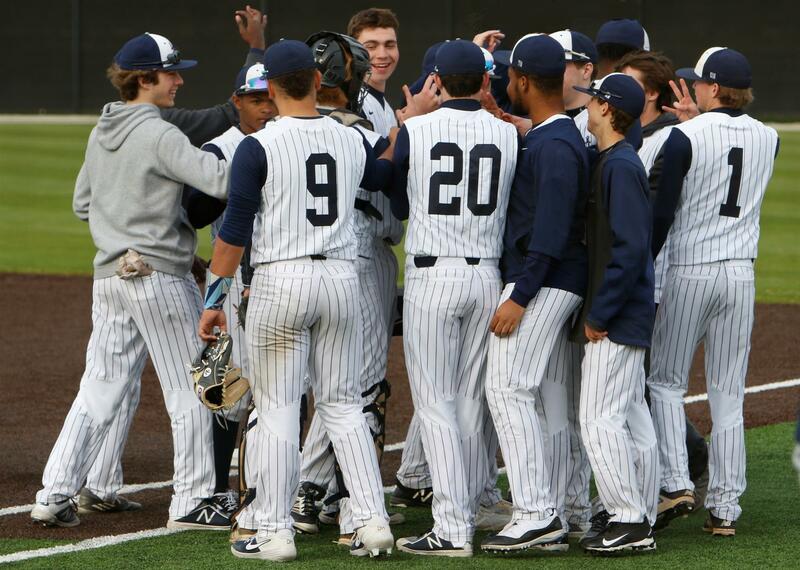 On March 13, with a near-capacity crowd on hand, the varsity baseball team traveled to play Stone Mountain High School. Sophomore Noah Bennett got the start on the mound and pitched two scoreless innings, allowing one walk and earning the win. Senior TJ Rafeedie came in at relief and pitched three scoreless innings, allowing one hit. The offense was strong, scoring 22 runs in the first five innings. Altogether, the Knights collected 16 hits and five walks; seven Pace batters were hit by pitches. Senior Andrew Jenkins had three hits and three RBIs; senior Mitchell O'Berry and Bennett had two hits and three RBIs each; freshman Jae Williams added two hits. The Knight were error free as Pace won 22-0. On March 15, Stone Mountain traveled to Riverview seeking revenge but fell short. The Pace offense exploded quickly and without mercy, scoring 14 runs in the first four innings and collecting 12 hits and three walks. Jenkins got the win; he pitched two innings with no hits. At the plate, Jenkins led with two hits. Juniors Andrew Neville, Reggie Harris, Jack McCarthy and Bennett all produced for the Knights. Pace won 14-0. On March 16, Gilman High School from Baltimore traveled to Riverview to play Pace in a day/night doubleheader in front a very large and boisterous crowd. In game one, the Knights scored four runs in the first inning thanks to two key hits, two hit Pace batters and a costly error by Gilman which would be enough runs to win the game. Rafeedie started the game on the mound for Pace, pitching an effective 5 1/3 innings in which he allowed seven hits and three runs. Rafeedie was efficient in mixing up his breaking ball and change up to be the winning pitcher. Sophomore Jayden Thomas came in at relief and was very effective in closing out the game. Williams and Thomas each had one hit to secure the win for Pace, 4-3. Game two showcased a pitchers' duel from beginning to end. Starting on mound for the Knights was O'Berry, who was excellent, mixing his breaking ball with a well-located fastball. O'Berry pitched seven innings, allowed three hits, seven strikeouts and one run (unearned). Thomas had two hits, and senior Darian Howard added another, but Gilman won the game 1-0. After squeaking out a 3-2 win over Mt. Paran on March 13, the varsity girls tennis team headed to Chattanooga for the Deco Turf High School Team Championships on March 15. Overall, it was a great weekend of competition and camaraderie. The Knights placed third in their division, with wins against Spain Park High School from Birmingham and Winter Park from Florida. Unfortunately, the no-ad scoring and tiebreaker third sets fell short in a few matches against Carrollton. Despite the score, the girls won with their effort and attitude. The dual match format, much like college tennis, consisted of six singles matches and three doubles matches. The girls competed in a total of three dual matches Friday and Saturday. Kudos to sophomore Sydney Funston and senior Avi Arora. 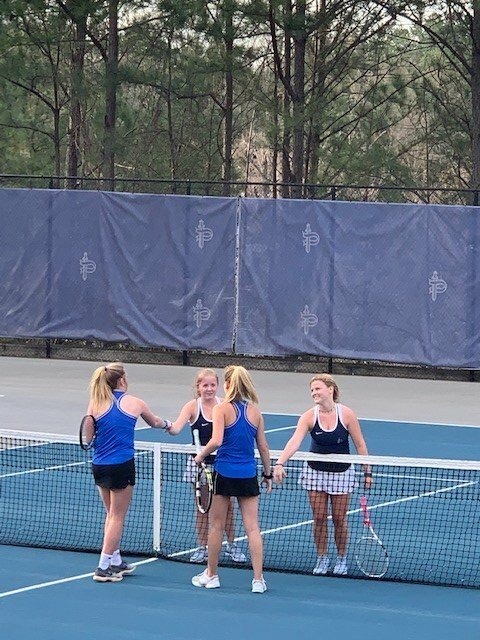 Both played three singles and three doubles matches in less than 24 hours, which provided great practice for playing under pressure as the Knights head into matches against Westminster and Lovett. The team's next match is Wednesday, March 20, at 4:15 p.m. at home against Westminster. The varsity boys soccer team beat Stone Mountain on March 12 in a thrilling come-from-behind match. Stone Mountain came out strong with two goals in the first 27 minutes of the game. The Knights refused to give up and, at the 35-minute mark, junior Jesus Tadeo's free kick found the head of sophomore Anderson Lara, who, with a quick flick, found the back of the net and made the score 1-2 at halftime. Fifteen minutes into the second half, Tadeo hit a beautiful free kick that hit the post and dropped to the feet of freshman Jeffery Ramos, who easily beat the Stone Mountain keeper to tie the game 2-2. At the 60-minute mark, Tadeo was dragged down in the penalty box and awarded a penalty kick. He scored to take the Knights up 3-2. Stone Mountain would not give up and scored another goal on a corner kick to tie the game 3-3 with 15 minutes remaining. Now, with 8 minutes left, Tadeo hit a blistering left-footed free kick over the goalkeeper to take the score to 4-3. The Pace defense held strong the remainder of the game, led by senior Lawson Stricker, sophomore Noah Prout, and freshman Jaxon Willoughby. The Knights secured their third region win, 4-3. The team's next games are Tuesday, March 19, at Westminster, and Thursday, March 20, versus St. Pius at Walsh Field. Pace Parent Dr. Ken Mautner and his staff from Emory Sports Medicine will return to campus on Thursday, May 16, to perform physicals along with the Pace Athletics trainers. Physicals will take place in the Inman Center at 3:30 p.m. Student will be seen on a first-come, first-served basis. ALL students, athletes and non-athletes are required to have a physical on file for the 2019-2020 school year. All those participating in a sport must have a current physical on file. Physicals must be performed between April 1 and July 15, 2019, and turned in before an athlete may participate in any workouts or practices. You can register your child at https://docs.google.com/forms/d/e/1FAIpQLSdZbrR3rzL2_xPU0Mxt_u6KUsGwhcns2THT7vF1TMy9t05z5Q/viewform?usp=sf_link. Students must also complete a history form (available on myPACE) and bring a check payable to Pace Academy for $25 to the Pace Athletics Office or the training room prior to May 16. Please contact Marie Lackamp (marie.lackamp@paceacademy.org) with any questions.